We went to our final doctor's appointment for the year. This one was in Flagstaff. We went to see Dr. Rockow, Seth and Sydney's cardiologist. Mitochondrial disease is a multisystem disease process. The main disease process his neurologists are concerned about is cardiomyopathy--pathologic enlargement of the heart. As Becky and I drove the 2.5 hours to the appointment, we were reflecting that it was around this time of the year 3 years ago that this all began. It was with Dr. Rockow when he noted cardiac conduction abnormalities with Sydney (Wolfe Parkinson White Syndrome) and he wanted to check Seth at the same time. He had an abnormal ECG but normal echocardiogram. He then recommended that Seth have a detailed endocrine/metabolic and genetic workup. We thanked Dr. Rockow for his help. Ever since Seth had nerve conduction testing, where they stuck small needles in his large muscles, he gets really scared of doctor's appointments. He freaks out when they put the pulse oximeter on him. He freaks out when they put electrodes on his chest. He freaks out when he gets his blood pressure checked. I can't blame him. I've lost track how many doctor's appointments we've had. He is such a trooper through all of this. Dr. Rockow reported that Seth's heart is placed in the center of his chest instead of the normal left side, but he didn't think this was a problem. His ECG and echocardiogram haven't changed. This is good news. In May of 2010, (before Sydney had the diagnosis of mitochondrial disease) Sydney was preparing and planning on going on a multiday adventure with the youth in our church. This was going to model some of the experiences of the Pioneers as the made the trek west. They were planning on pulling handcarts, have minimal food and water, poor sleeping conditions, and exposed to the high temperatures of the Summer. One week before this adventure, Sydney fell down the stairs and broke her foot and had to have surgery. We were all so disappointed that she could not go on this adventure. As we look back, this accident was a major blessing! Had Sydney gone on that excursion, it would have been an absolute disaster with potential fatal consequences. Did God intervene? As we close this year, I need to express gratitude. The journey continues and this year has brought us some tough times and some good times. I am most thankful for my wife Becky who has been the ultimate co-captain on this voyage. I am thankful for friends who listen and care. I am thankful for my parents and my in-laws who have shared our burden. I am thankful for my health and job that allows me to provide for my family. I am thankful for co-workers and my boss who have had to deal with me and have been flexible. I am thankful for my other family members who have been with us on this journey every step of the way. I am thankful for my children. Each one of them are unique and dear to me. My two mito-kids, you have endured so much. You don't fully understand what is going on. Life is not fair! Unfortunately, you have a disease that we don't know much about and how to best treat. 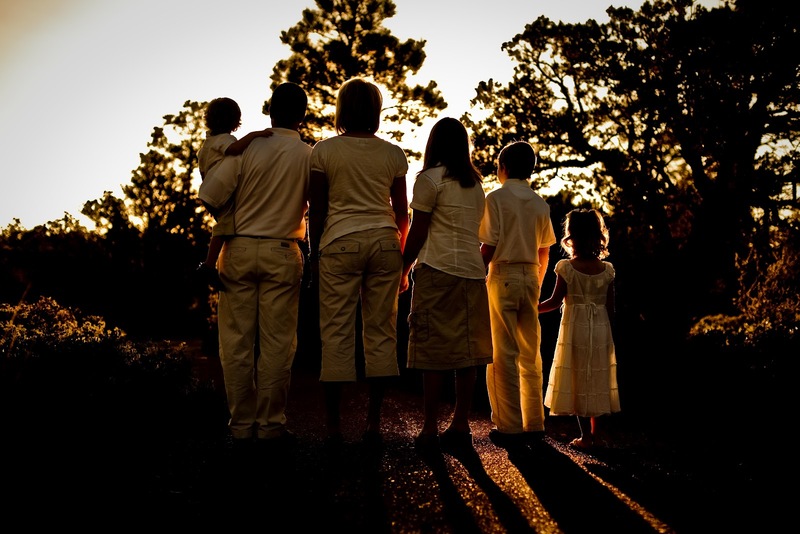 As your parents, we promise to do all we can to get you the best medical help available. My two other children, you have watched this whole process unfold. You have been scared, but you have replaced your fear with faith. Your example of faith has been a motivating factor for me to continue on and hold on to the belief that our Heavenly Father is keenly aware of our family. As I say prayers at night with my youngest daughter, I am amazed at the thoughtfulness of her prayers. She rarely prays for herself. She prays for so many people and expresses gratitude for the earth, family, animals, and friends. She teaches me many things by her example. Last, but not least, I am thankful for God. This journey has raised many questions for me. I would be ignorant if I did not acknowledge the many tender mercies that God has given us along the way. I want to close this post with one of my favorite poems by William Ernest Henley. I hope you all have a wonderful Christmas. We had another set of appointments for Seth and Sydney over the last 2 weeks. The pulmonologist went well with normal lung functions. They will do overnight oximetry to see if their oxygen levels drop significantly. We also saw Dr. Prigatano, a neuropsychologist. He gave us some shocking news about our oldest daughter Sydney. He states she will never be able to drive and that she will need assistance throughout her entire life. Becky and I had begun to realize as she got older that she has a hard time socially, emotionally, and mentally, but we didn't realize it was this bad. This changes everything. You expect your children to grow up, go to college, get married, and have a life of their own. You hope you have taught them well and given them a solid foundation for their lives. You don't plan for this. We also met again with Dr. Narayanan, their local neurologist. He is such a kind man. After our appointment, we were talking and he said, I feel like I'm not doing very much for your children. I was somewhat shocked by his statement. I then said to him, do you want to know how we feel? We feel like you have saved our children's lives! Tears started to swell up in my eyes as I said this and it felt like we connected to each other spirit to spirit. There was a long pause and tears began to swell up in his eyes. He then said thank you. I explained to him I will never forget when we first met him and the whole neurogenetic team at St. Joseph's Hospital. We were so excited to finally get some answers from some of the best doctors in the country. You walked in looked at me, Becky, and Seth and with humility said, "I have looked at your son's MRI and have had all of the pediatric neurologist look at it too. I have no idea what is wrong with your son. No one has ever seen this before". He then went on to say we will find out what is wrong with your son. He did what he needed to do. He went the extra mile. He referred us to Dr. Shoffner in Atlanta who finally made the diagnosis. This journey has been the most difficult experience I have ever been through. I so much want to turn to God for help, but I lack faith. I feel like I have been burned by God before when I have turned things over to him. What do I expect God to do? Do I expect him to make everyday all happy and glorious? Do I expect him to completely take away my pain? Do I expect that there be no suffering in this world? Bottom line, I don't know what I expect. I am thankful for friends, family, and excellent doctors that have helped us along the way. I do know there are good people in this world. I can always tell when someone is truly interested in another human being. I am so thankful for people like this. I have been so touched by the outpouring of love by those who are directly involved in Seth's care. I have seen many of his teachers at the clinic where I work. They tell me how his smile makes them feel good. They tell me that they can be having a bad day and they see Seth, and he brightens their day. I am amazed how much these people truly love my son. His bus driver saw me today and told me they don't let anyone else sit in his seat. They don't want another sick or potential sick child to sit where he will be sitting. They use antimicrobial agents to clean his seat frequently. Jennifer, Seth's bus driver, also stated she has multiple people praying for him at her church and her family around the country. I have a dear friend Rusty who has gone above and beyond what I would have expected anyone to do. He seems to be in touch with our needs and has given financially to help with enormous medical bills. Rusty is one of those guys you know truly cares. I have felt his sincere empathy. He has been a good friend to have a long this journey. I have family who have made several trips from Utah to Arizona to watch our kids while we travel to Atlanta. 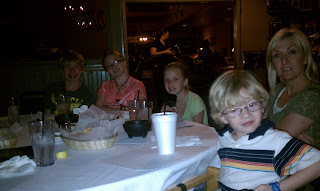 We have friends here who have watched our children overnight as we have gone to extended appointments in Phoenix. I have co-workers and church members who have helped. Most of all, I am thankful for Becky, my wife. She has been through this journey and has amazing strength and faith in God. I love you. Are we alone in this battle? Has God abanoned us on this journey? I don't fully understand how God works. It seems like I have completely revisisted God through all of this and might have answered some of my own questions that I posed. Until next time, I will continue to be a dad to my two special mito kids and two special other kids. Seth getting his resting metabolic rate tested. 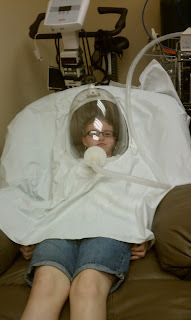 Sydney getting her resting metabolic rate tested. June 2010, we were at a family reunion at Island Park, Idaho just outside of Yellowstone National Park. I got up early one morning to go for a bike ride and scout for wildlife. I found this road that seemed to go on for miles. It was untraveled at this time of the morning. I didn't see one other person. The scenery was beautiful. The road was narrow and not very well maintained. The road had many turns and hills. Despite the difficulty of the road, I couldn't help notice where this road seemed to lead--The Grand Tetons elevation 13,770 feet. I stopped for this photograph. It seemed to represent many things that were going on in my life at the time. It has more meaning today. Life has been very difficult for me and my family. Living each day with two chronically ill children with special needs is challenging. I live each day not knowing what will happen to Seth and Sydney. I live in a state of fear. Will today be the day that they start to decompensate? How long do my children have to live? It is difficult to not think this way when you know the course of Complex I Mitochondrial Disease. They have Leigh-like syndrome. As difficult as it is, I try to live each day for what it is. I try to live in the moment, I try to take one day at a time. I try to enjoy the journey and notice the beauty around me. I try to spend time with my children and teach them important life principles. I try to teach them of God and his love. I try to teach them of faith and that this life has purpose. I try to teach them that life is a journey that is not always easy--especially for our family. I try to teach them that our destination in this life if not for riches or prestige, but to develop a relationship with God--our Heavenly Father, that we are here to bear one anther's burdens and love our fellowmen and women. That at the end of this difficult journey is a majestic beautiful place. We had a piece of good news with Seth. He had anther MRI on Friday. His lesions in his frontal lobe have decreased from 14mm to 11mm. His lesions in the other parts of his brain are stable and he has no new lesions. When my friend Dr. Berges took me back to the radiology reading room and showed me this, I wept. I couldn't believe it. My children and my wife were right with their feelings they had that things were going to be OK. This was a lesson for their father that I need to replace my fear with faith. Not that he will be completely healed, but that things are going to be OK. I don't know what God's will is for Seth. I do know that he is a very special boy that seems to be filled with the love of God. He touches so many people with his smile and his love. So for today, I will enjoy each moment. I will take the time to appreciate the simple beautiful things that are along this journey. It's been awhile since I've written about my children. We had a great summer together that was pretty uneventful as far as their disease goes. Seth is speaking more and falling about the same. Sydney had a tonsilectomy for her obstructive tonsillitis and had some complications. Her glucose spiked to 340 and she started bleeding 8 days after her surgery and had to go in for emergency surgery. Mitochondrial disease is a multi-system disease. It can effect every organ system in the body. It is possible that Sydney will develop diabetes. I hope not. Sydney called from school today stating she wasn't feeling well. I told her to go to the nurses office. I called the nurse and told them to check her pulse and blood pressure. Her resting heart rate was 145! I had her come to my office and did an ECG which showed some changes from her ECG 3 weeks ago. I faxed her ECG to her pediatric cardiologist and he thought her arrythmia was coming from her atrium and not her ventricles. That was reassuring. It never stops! I am on edge thinking when will the next problem happen. I have been so stressed lately and living in complete fear. Seth goes in tomorrow for another MRI under general anesthesia. Each MRI has showed progression of the mitochondrial disease to other regions in his brain and enlargement of the existing lesions. I am scared. I love Seth and it has been difficult to watch this process. The other night, our family sat down to talk about Seth's MRI and I asked how each of my kids were feeling. They all seemed to be ok. They were a little scared, but the overwhelming feelings they expressed were that he would be ok. I don't share the same feelings. Maybe it's because I'm in medicine and I know how this disease progresses. Maybe it's because I have no faith and I live in fear. Tomorrow is a special day, it is my son's 5th birthday. He hardly knows what this means, but we are grateful that he is alive to see another year. He wants a Nintendo DS, so he can play like his brother and sisters do. He plays with theirs and just pushes the buttons. His favorite toys are the toaster, rice maker, spatula, tongs, etc. I'll never forget the day he was born. His birth was a little different than my other 3 children. We went to bed on June 14th and Becky woke me up at 2 AM stating she was having a lot of contractions. I checked her and Seth was there. I thought, do we risk the drive or risk having him in our bed. We got into the car and went to the hospital. As soon as she was on the bed, Seth was born. No doctor, just me, Becky, and the nurses. Dr. Conelly came as soon as he could--just in time to deliver the placenta. As I held my newborn son, I had hopes and dreams for him--just like any father would. I was happy he was finally here and that he and Becky were OK.
Tonight, I get to leave work a little early and watch him open his presents and blow out his birthday candles. I am so grateful for my little boy. He has challenges that most of us will never have to face. I feel blessed to be his dad and be able to help him through these challenges. He actually seems to be doing a little better lately. He is saying more words and putting 4 words together in a sentence. His dysarthria is also improving. I am always cautious because of the progressive nature of mitochondrial disease. I hope, God willing, we will be able to celebrate his 6th birthday. I wanted to give some details about this journey we have taken and how we got our diagnosis. We are a family of six. My wife, Becky, and 4 children. By my standards, we are a normal family and sometimes subnormal. All seemed to be going well in our household. We have fun together and we work hard. One of our family mottos is "we can do hard things". We enjoy the outdoors and traveling to new places. We have big plans for our children and want them to be happy. Things started to change the Fall of 2008. It all began around October 2008 when my oldest daughter, Sydney, was having foot surgery by Dr. Flake. The anesthesiologist noted an abnormal ECG rhythm and recommended she see a pediatric cardiologist. We went and saw Dr. Rockow in Flagstaff. He did and ECG and an echocardiogram and diagnosed her with Wolfe-Parkinson White Syndrome and a mildly enlarged heart (rule out cardiomyopathy). He recommended that the entire family have a cardiology workup. Seth came with us to the appointment and he recommended that we check him today. He stuck the electrodes onto his chest and his ECG showed high voltage. His ECG showed an enlarged heart. His echocardiogram was normal. Dr. Rockow recommended that Seth have a genetic and metabolic/endocrine workup. We took him to a local endocrinologist/pediatrician--Dr. Barela--who started the workup. It was during this time that Seth developed a dissociated nystagmus in his right eye. His eye would start moving laterally very fast. We took him to Dr. Miles who recommended we see a pediatric ophthalmologist. We took him to Phoenix to see Dr. Leverant. She was very concerned that there might be a tumor pressing against his optic nerve and ordered an MRI of his brain and orbits. Phoenix Children's Hospital required us to pay $500.00 before they would schedule the MRI. This nearly blew me away. I am in medicine and I understand billing, co-insurance, co-pays, deductibles, etc, but in this situation where there was a concern of a brain tumor, it just didn't seem and feel right. It took 10 days to get the MRI. These 10 days seemed like years. The days could not come fast enough. I was nearly useless. I had trouble concentrating and doing my daily routine. Work was challenging. I was wondering around aimlessly like the Children of Israel in the wilderness. My son, my little boy potentially had something terribly wrong. Finally, the news came. Dr. Leverant called me and said there was no tumors noted, but there were several small “cysts” in the corpus callosum. She said these looked “benign”. I consulted a radiologist friend Dr. Berges who disagreed. He said these looked more like white matter lesions. I called Dr. Leverant and told her that I had gotten a different opinion from a local radiologist. She had the MRI reviewed by a pediatric neuroradiologist who concluded they were corpus callosum cysts. went to the hospital. I stayed with my other children. Becky called with updates. She said her experience in the hospital was not going well. The first person Seth saw was the business manager who said we needed to pay $1000.00 before we could leave the hospital. This was the second time this hospital came for their money before services were rendered. Again, this just didn't seem or feel right. Seth finally saw the pediatric attending physician. It was over 24 hours post admission that they finally drew blood. Becky was frustrated. She said Seth was running around the hospital riding a tricycle and happy as ever. The appearance he presented was not a sick little boy with a chronic metabolic acidosis and brain lesions. His appearance was that of a happy 2.5 year old little boy who wanted nothing to do with this hospital. I was now getting frustrated and decided to go down and help Becky. 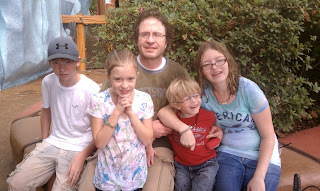 I had my good friend Jay stay with our kids and I left for Phoenix. I arrived about 36 hours post admission and they finally did some labs. They stated that his metabolic acidosis had resolved. One by one the specialists came by to see him. 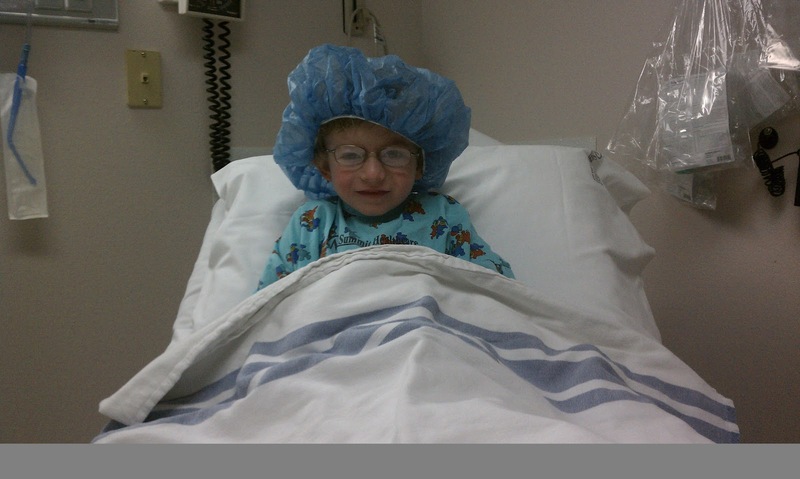 Seth saw a pediatric neurologist, geneticist, and several residents. He was discharged with absolutely no answers. The neurologist agreed with the radiologist reading of “benign cysts”. The attending physician never ordered another ECG or had a cardiologist consult. He never consulted Dr. Leverant regarding his eye. They completely disregarded the high lactic acid level. The whole visit was a complete waste of time and money. The only benefit was that of Dr. Theresa Grebe who wanted to do some further genetic testing on him. She ordered a chromosomal microarray panel on him and wanted us to see her again in a few weeks to go over the results. We followed up with her and she said everything was normal. She ordered some more testing and wanted spine x-rays and renal ultrasound. We saw her again in 6 months. She recommended we follow up again with a neurologist. We made an appointment with Dr. Sweetman who recommended that we get another MRI. She was not satisfied with the “cysts” diagnosis. We had the MRI done on 12-17-09. Once again, Phoenix Children's Hospital requested $500.00 before they would schedule the MRI. By this time, I was thinking that maybe all this was an acute illness that had caused this and that everything was ok. His dissociated nystagmus had resolved. Seth’s only continuing problems were he was very clumsy and had some speech delay. Maybe he was just a little behind. I see this all the time with my medical practice. His clumsiness was so bad and he had hit his head so many times, that we bought him a small bicycle helmet that he wore everywhere. I do have to admit, I was not as anxious to get the results back this time. It was Christmas time. We had a great time together as a family. We went and got our Christmas Tree from the forest as we usually do. The kids were very excited. I had not heard any news from Dr. Sweetman, so I called her and asked if she had gotten the report back. She apologized and said that Seth’s MRI was worse. She stated that these were not benign cysts. She called them “lesions” and that they had gotten larger and there were new lesions in the basal ganglia. She had no idea what it was and was referring us to a pediatric neurogenetic team at St. Joseph’s Hospital in Phoenix. By now, this journey was taking a significant toll on our family. Financially, it was costing a lot of money. It was during a time when the White Mountain Apache Tribe was not paying their insurance. I have terrible health insurance with a very high deductible. The medical bills were piling up. The uncertainty of Seth’s diagnosis was also challenging. All sorts of questions come into your mind. Is your son going to live? Do other family members have this? Was there something I did or took that caused him to have a genetic defect? How am I going to carry on? He did a thorough history and physical which took almost 2 hours. He also said that both MRI’s showed white matter lesions, not benign cysts. Something was causing the destruction of his white matter and they had no idea what it was. We felt like Dr. Narayanan cared and took a deep interest in finding out what was wrong with Seth. He told us he was going to put Seth’s MRI on a server for the pediatric neurology and radiology world community to look at and give some input. He was also going to order some more tests. The anticipation quickly turned to discouragement, despair, and consternation. The most distressing emotion aroused by the impending unknown came over me. This emotion was fear. I had been governed by this emotion for most of my entire life. The situation was completely out of my hands, or was it? I couldn’t just sit back and do nothing. I wanted to help my son if I could. I began to research. I spoke with my radiology friend, Dr. Berges. He offered to have a colleague of his, a pediatric neuroradiologist, in Indiana look at the films. Grant’s colleague was not sure what was going on either. It was clear by this point that Phoenix Children’s Hospital clearly mis-read the first MRI. It was clearly a white matter disease of some type from the beginning. She recommended we try and get in contact with a specialist in Amsterdam by the name of Marjo Van der Knaap, M.D., Ph.D a pediatric white matter specialist. I also spoke with my cousin, Sharlene who is an ER physician in Utah. She had a good friend at Harvard who was chief of Neurosurgery that she got me in contact with. I spoke with him and sent the MRI’s to him. He was very kind to view these films, but had no input about what it was. I read about your story and I was touched and thought I would send an email to see if you might be able to help. My son, Seth who is now almost 4, has been diagnosed with an unknown white matter disease that has been progressing since 2008. No one seems to know his disease is or how to treat it. He has had multiple tests and seen multiple specialist. I was told by a friend who is a radiologist that Dr. Marjo van der Knapp is someone who we should try to get in contact with. This is Mike again. Gabriella and I are very sorry to hear about your son Seth. I know this is a very difficult time for you. I believe the best course would be for me to forward our email correspondence on to Dr.Van der Knaap. If this is ok with you please let me know if this is okay. Thank you for your note. I would be happy to look at your son's MRI. The website contains only some of the images and in the wrong format. Please send me a CD with the MRIs in DICOM format, together with your contact details and a print-out of this e-mail. I have given my full address below. I will then let you know what I think as soon as I can. Thank you for sending me the MRIs of your son Seth. The first MRI was obtained on 19-01-2009. The images show a bilateral lesion in the white matter of the gyrus cinguli, where the white matter enters the genu of the corpus callosum. The diffusion-weighted images still show restriction of the diffusion in the rim of the lesion on the right and in the entire lesion on the left. There is no enhancement after contrast. A new MRI was obtained on 17-12-2009. The lesion on both sides has become larger and there are now several small satellite lesions. The diffusion-weighted images show decreased diffusion in the rim of the lesions and increased diffusion in the central part of the lesion. There is no enhancement after contrast. My first thought would be that it could be a mitochondrial disease. Mitochondrial disorders may start with focal lesions and frequently display restricted diffusion in the rim of the lesions. In mitochondrial disease lesions may come and go. I would start with assessing blood in CSF lactate and consider a muscle biopsy or functional mitochondrial studies. The images are not compatible with any of the classical leukodystrophies, such as metachromatic leukodystrophy, Krabbe disease or Alexander disease. The images are also not compatible with a diagnosis of vanishing white matter disease. Please keep me informed of further test results. I am always willing to look at follow-up MRIs. I forwarded the letter to Dr. Narayanan who called me and said, “I was about to send her an email and ask her myself if she would look at the MRI’s”. We then set up further testing including a lumbar puncture, MRI of brain and spinal cord, MRA of brain, MR spectroscopy, and additional blood work. Dr. Narayanan also wanted to enroll our entire family in a study to have our genome analyzed by a company called TGen which we agreed to do. One of the amazing things about this experience at St. Joseph's Hospital was they did not ask for money before they would treat our sweet little Seth!!! In fact, once we got the bill, they offered financial assistance and significantly reduced our bill (something Phoenix Children's Hospital was unwilling to do). I am so thankful for St. Joseph's Hospital! One of the unfortunate things of this century is that St. Joseph's Hospital's Children's Services and Phoenix Children's Hospital recently merged. During the summer of 2010, we were on vacation in Utah. We went on a family hike with my brother Kevin’s family to Stuart Falls in Provo Canyon. My oldest daughter Sydney had just come out of a cast because she fell down our front stairs and broke her foot. It required surgery. She was not in the best shape, but never has been in good shape. While we were hiking, I noted she was having a difficult time hiking and was breathing very heavy. She has had her own problems and had a cardiac ablation done in 2009 for her Wolfe-Parkinson White Syndrome. The ablation was unsuccessful but they stated if she ever did go into a bad rhythm, she wouldn’t go over 150. I checked her heart rate and it was between 170 and 180. She was so fatigued and this was the first time she had presented like this. She had done soccer and hikes with are family. She rides her bike around our house and she had never had these symptoms. While we were on vacation, I got a phone call from Dr. Narayanan. He told me results of the imaging studies showed that the white matter lesions had enlarged and the MR spectroscopy showed high levels of lactate within the lesions of his brain. His lumbar puncture showed low levels of 5-methyltetrahydrofolate, high levels of alanine and lactate. The results pointed to a metabolic disease likely a mitochondrial disorder. What was the next step? Dr. Narayanan wanted us to see Dr. Shoffner in Atlanta, GA a world renowned specialist in Mitochondrial Disease. Dr. Narayanan thought the next step was a muscle biopsy. This is what Dr. Van der Knaap recommended. This is what all the studies recommend. Becky and I agreed, we would go see Dr. Shoffner for Seth's muscle biopsy. I began to research mitochondrial disorders. I also noted that Sydney and Seth have very similar characteristics in their facial features, short stature, learning disabilities, eye problems, speech, and personality. One of the common "red flag" symptoms of mitochondrial disorders is Wolf-Parkinson White Syndrome. Could Sydney have this too? Sydney has seen several specialists at Yale and the University of Arizona. She also had an MRI at the age of 10 or 11 which was normal. I began to work up Sydney for a metabolic disease. I ordered the basic tests and her Serum alanine and lactate levels came back high. I spoke with Dr. Narayanan about this and he wanted to see her. We scheduled her for an MRI, MR spectroscopy, and lumbar puncture. The MRI was normal, but her lumbar puncture came back high for lactate and alanine. Her 5-methyltetrahydrofolate was low. It looked like she too had a mitochondrial disease and cerebral folate deficiency. Dr. Narayanan told us that if Seth ever had acute neurological finding, that he would need to be seen immediately. He was at risk for having a stroke, seizure, or rapid decompensation. Well, this happened in early October 2010. Seth developed an acute dysarthria. I was very anxious that he had a stroke or his disease was progressing to areas of his brain that control his speech. I called his neurologist, Dr. Narayanan at St. Joseph’s Hospital, and informed him. He said we need to get an MRI as soon as possible to see. I arranged to have the MRI done here in Show Low with Dr. Berges. His MRI showed no stroke, but progression of his disease. It is difficult to describe the feelings that you have as a parent as you watch your child...slowly die. We were so thankful that we finally had a plan of action and that we were finding answers. Dr. Narayanan started Seth on what's called the "Mito Cocktail", a combination of vitamins, amino acids, and co-enzyme Q10. Syndey’s imaging studies were normal, but she too had low levels of 5-methyltetrahydrofolate in her cerbral spinal fluid and high levels of lactate in her blood and spinal fluid. So our journey then took us to Atlanta, Georgia on December 7, 2010. We were scheduled to see John Schoffner, M.D. a world renowned pediatric neurologist who specializes in mitochondrial disease. 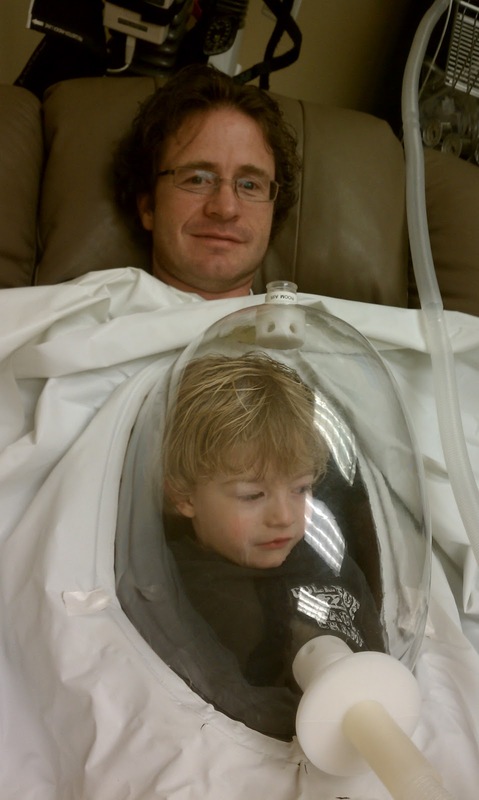 He had Seth scheduled for a muscle biopsy, lumbar puncture, and other blood work. He also did a resting basal metabolic rate test. We had my parents and my brother Lynn come to Show Low and watch our kids. We had an enjoyable time in Atlanta, despite what we were there for. 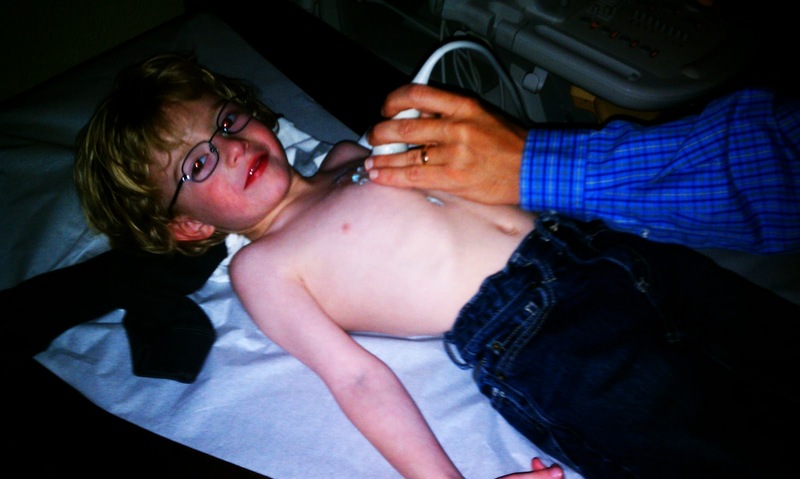 Seth’s testing in Atlanta confirmed the mitochondrial disease and cerebral folate deficiency. They put him on leucovorin, and increased his "Mito Cocktail" levels of l-carnitine, B vitamins, and Coenzyme Q-10. His defect in his mitochondria was in Complex 1. It is common for people with mitochondrial diseases to develop low cerebral folate levels. This is treatable with leucovorin. It is unknown whether the other supplements do anything to help the mitochondria. Dr. Schoffner also stated that Sydney most likely had the same disease. So here we are in May 2011. Seth’s speech has gotten worse, but nothing else new. He goes for a sleep study on June 3rd. We hope for the best and expect the worse. It's easy to write a blog when you know that you are the only one reading it. Saturday, April 23, 2011 Becky (my wife), Amy (my cousin) Seth, and I went to a funeral for my cousin's 3 year old daughter who drowned in their pool. This was such a tragedy! My heart was aching for my cousin Diane, Bill, and their family. The image that sticks out in my my was their beautiful 5 year old daughter dressed in white looking into the casket at her sister. Her face was sad. You could see the pain in her eyes. This was not easy for me and Becky to attend knowing that our son Seth has a chronic incurable disease and that his life may end premature. The ironic thing is, the night before she died, Seth almost died too. Not from his disease, but from a freak accident. Friday night at our home is family movie night. Somone gets to choose the movie and we usually eat pizza. We watched Apollo 13. We all had a great time together. Seth's attention span is a couple of minutes, so he had no interest in the movie and wanted to play with my phone. Seth found a large coin from Guatamala about the size of a US .50 cent piece that he put in his pocket. Becky was getting him ready for bed when he said: "hide from daddy". Becky took all of his clothes off and left the room to get something and returned with a horrific scream: "Newell, Seth is choking". I ran into his room. Becky told me she saw that Guatamalan coin in the back of his throat. I grabbed Seth and help him partially upside down and gave him several thumps on his back. Nothing happened. I then did several abdominal thrusts. Still nothing happened. By now, he was turning blue and starting to go limp. He was dying. Becky was sobbing, Sydney, Spencer, and Sierra were in shock. I amazingly remained calm. From the moment I saw him choking, I had this image in my mind where the coin was in his throat and what I needed to do, but after it didn't come out after two rounds, I began to feel like helpless. He was dying and there was nothing I could do about it. I couldn't stop now. There was no time for emotions. I had to stay focussed. I was his only hope of survival. I held him partially upside down and again began to give him several open fist thrust on his back. Finally, after what was the longest 2 minutes of my life, the coin came out with a large volume of vomit which consisted of M&Ms. We all stood around in shock as to what had just happened and what could have happened. We all held each other and wept. When Seth started to turn blue and go limp, the feelings that I had are difficult to describe. My son was dying. It was such a beautiful evening and it turned terrible in an instant. As I reminiscence about that evening, the overwhelming feeling is I wonder if this what it is going to feel like when he actually does die? In the past when something really bad goes wrong with my children, I get emotionally involved and it's difficult to think objectively. I remember when my daughter Sierra had a febrile seizure when she was about 18months old. I was in a panic when she turned blue and stopped breathing. Amazingly, throughout all of this, I was able to think clearly even when the strong emotions came. I attribute this to God. It's as though He gave us a glimpse of what is to come, but gave us more time to spend with him. That night, Seth slept alongside me and Becky. We held him, we kissed him, we held each other thanking God that things turned out the way they did that night. When we got the phone call the following day that Diane's daughter had passed away, it was a somber moment.